Your keyboard probably spends more time up on your screen than most apps, so it's only natural that developers have sought to make it more useful. For example, Gboard has search and translation integration. SwiftKey is still playing catch up when it comes to service integration, but it's taking a big step today with Bing search. Why Bing? Because Microsoft owns SwiftKey. If you're getting a bit of déjà vu, you're not completely off-base. SwiftKey is rolling search integration out today as a feature in the stable app, but it tested it in the beta version earlier this month. From what I can tell, little has changed from the earlier test. The SwiftKey toolbar includes a search button, allowing you to peruse Bing results without opening another app. You can share the results to the app you're using or crop a webpage and just share an image. 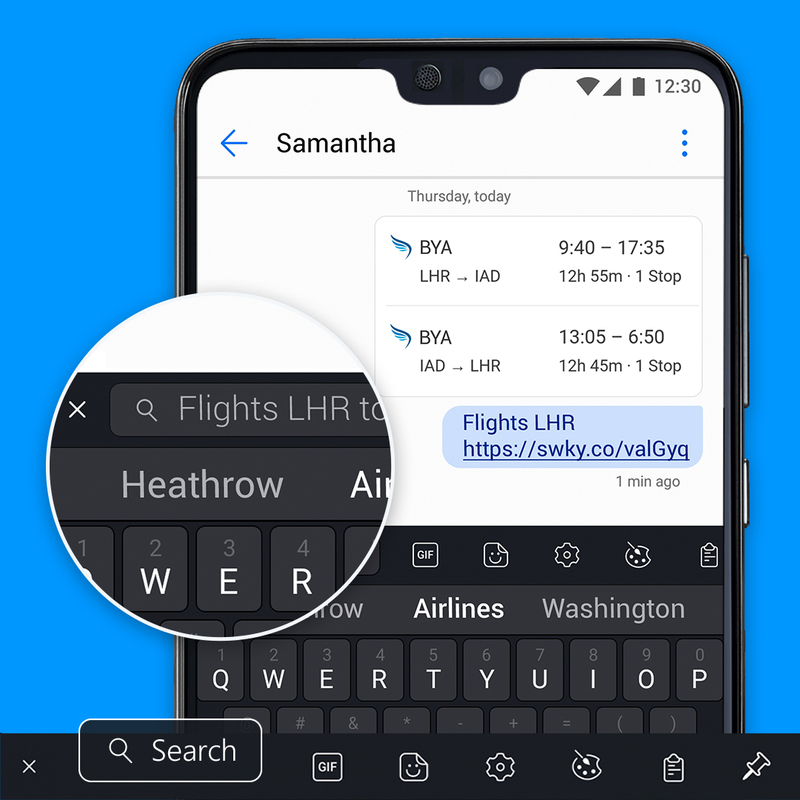 Bing search in SwiftKey is currently available in the US, UK, Canada, France, Germany, Australia, Japan, Brazil, India, Italy, and Spain. And yes, search is limited to Bing, but that should be fine for the sort of basic searches you'd do from a keyboard.